Silicone Cupcake Wrappers - 12 Pk - Only $3.33 Plus FREE Shipping! You are here: Home / Great Deals / Amazon Deals / Silicone Cupcake Wrappers – 12 Pk – Only $3.33 Plus FREE Shipping! 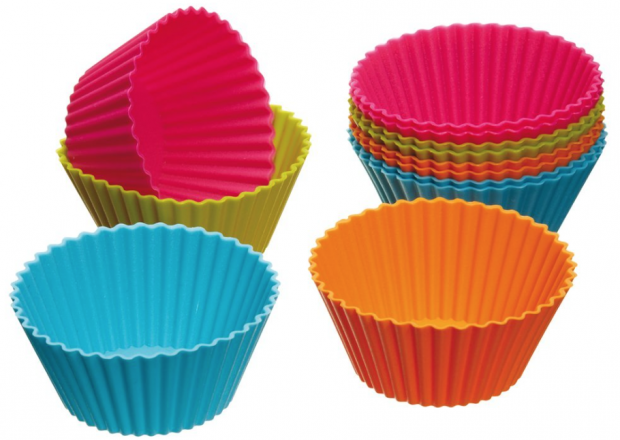 Silicone Cupcake Wrappers – 12 Pk – Only $3.33 Plus FREE Shipping! Not only are these great for cupcakes but they are also great for crafts – make your own crayons or soaps! They are also great for organization – put them in your desk or junk or makeup drawers to keep small items together and from roaming around. Put them in the drink cubbies in your car to keep the cubbies from getting all gunked up from spills! So many uses! Get the Silicone Cupcake Wrappers – 12 Pk – for Only $3.33 Plus FREE Shipping!